While the Action Pattern allows to encapsulate actions triggered by the user in an object which can be "plugged" somewhere in the menu bars or toolbars, it does not by itself solve the problem of constructing the menus themselves. In particular, you have build all popup menus in C++ code and explicitly insert the actions in a certain order, under consideration of the style guide for standard actions. This makes it pretty difficult to allow the user to customize the menus or change shortcuts to fit his needs, without changing the source code. This problem is solved by a set of classes called XMLGUI. Basically, this separates actions (coded in C++) from their appearance in menu bars and tool bars (coded in XML). Without modifying any source code, menus can be simply customized by adjusting an XML file. Furthermore, it helps to make sure that standard actions (such as File->Open or Help->About) appear in the locations suggested by the style guide. XMLGUI is especially important for modular programs, where the items appearing in the menu bar may come from many different plugins or parts. KDE's class for toplevel windows, KMainWindow, inherits KXMLGUIClient and therefore supports XMLGUI out of the box. All actions created within it must have the client's actionCollection() as parent. A call to createGUI() will then build the whole set of menu and tool bars defined the applications XML file (conventionally with the suffix ui.rc). Here is an excerpt from the kviewui.rc file. For simplicity, we show only the definition of the View menu. The XML file begins with a document type declaration. The DTD for kpartgui can be found in the kdelibs sources in kdeui/kpartgui.dtd. The outermost element of the file contains the instance name of the application as attribute. It can also contain a version number in the form "version=2". This is useful when you release new versions of an application with a changed menu structure, e.g. with more features. If you bump up the version number of the ui.rc file, KDE makes sure that any customized version of the file is discarded and the new file is used instead. In KDE's automake framework, such titles are automatically extracted and put into the application's [kde-i18n-howto.html .po] file, so it is considered by translators. Note that you have to write the accelerator marker "&" in the XML compliant form "&amp;". Let us come back to the example. KView's View menu contains a couple of custom actions: zoom50, zoom100, zoom200, zoomMaxpect and fullscreen, declared with a <Action> element. The separator in the screenshots corresponds with the <Separator> element. You will note that some menu items have a corresponding element in the XML file. These are standard actions. Standard actions are created by the class KStdAction. When you create such actions in your application (such as in the C++ example above), they will automatically be inserted in a prescribed position, and possibly with an icon and a shortcut key. You can look up these locations in the file kdeui/ui_standards.rc in the kdelibs sources. For the discussion of toolbars, we switch to Konqueror's GUI definition. This excerpt defines the location bar, which contains the input field for URLs. fullWidth: Tells XMLGUI that the toolbar has the same width as the toplevel window. If this is "false", the toolbar only takes as much space as necessary, and further toolbars are put in the same row. newline: This is related to the option above. If newline is "true", the toolbar starts a new row. Otherwise it may be put in the row together with the previous toolbar. The newline option should not be used with the top option. The toolbars defined after the toolbar with the newline option will automatically start on the same newline. These toolbars can contain the top option, but will not be placed above the newline. noEdit: Normally toolbars can be customized by the user, e.g. in Settings->Configure Toolbars in Konqueror. Setting this option to "true" marks this toolbar as not editable. This is important for toolbars which are filled with items at runtime, e.g. Konqueror's bookmark toolbar. iconText: Tells XMLGUI to show the text of the action next to the icon. Normally, the text is only shown as a tooltip when the mouse cursor remains over the icon for a while. Possible values for this attribute are "icononly" (shows only the icon), "textonly" (shows only the text), "icontextright" (shows the text on the right side of the icon) and "icontextbottom" (shows the text beneath the icon). hidden: If this is "true", the toolbar is not visible initially and must be activated by some menu item. position: The default for this attribute is "top", meaning that the toolbar is positioned under the menu bar. 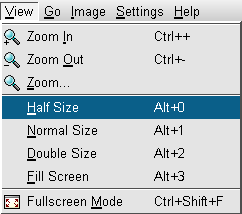 For programs with many tools, such as graphics programs, it may be interesting to replace this with "left", "right" or "bottom". Note that in contrast to the static actions, the ones created here are not constructed with the action collection as parent, and you are responsible for deleting them for yourself. The simplest way to achieve this is by using openWithActions.setAutoDelete(true) in the above example. Also note that to be able to extend menus this way, you need to call createGUI() with the second parameter (conserveMemory) set to "false". If you don't, you won't get any error but your actions won't appear in the menu. This page was last modified on 30 May 2014, at 16:15.